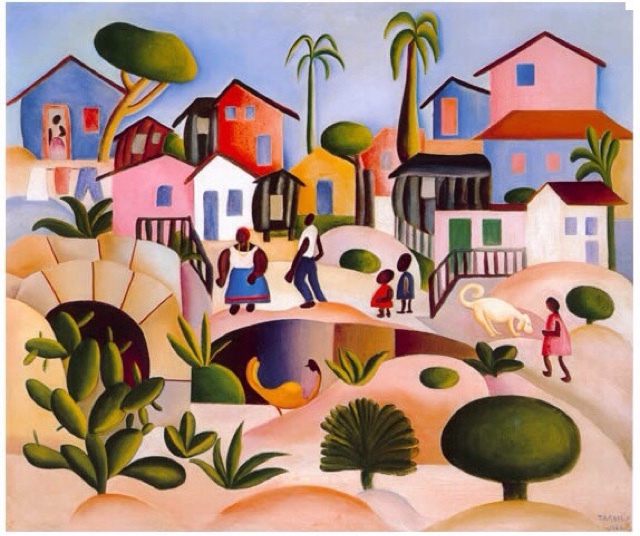 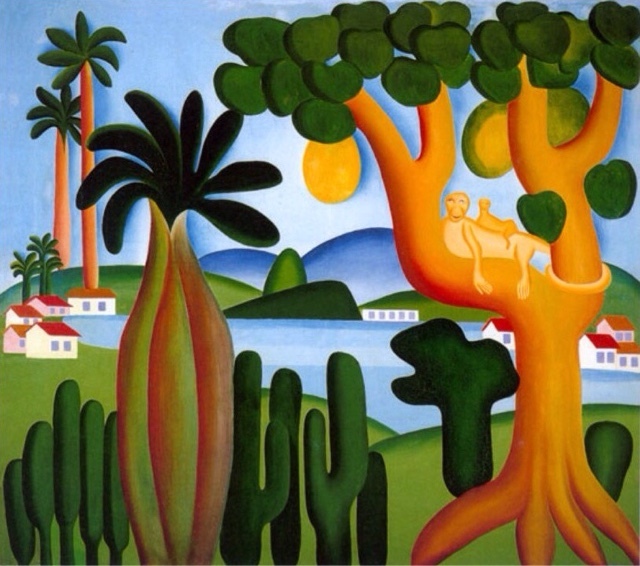 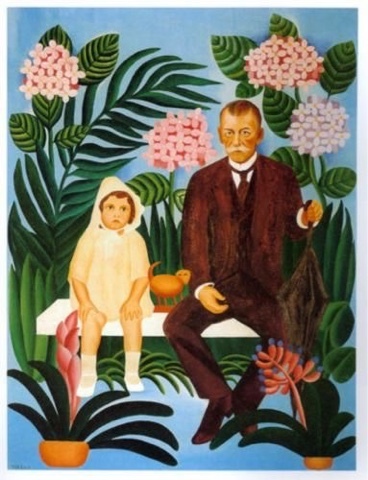 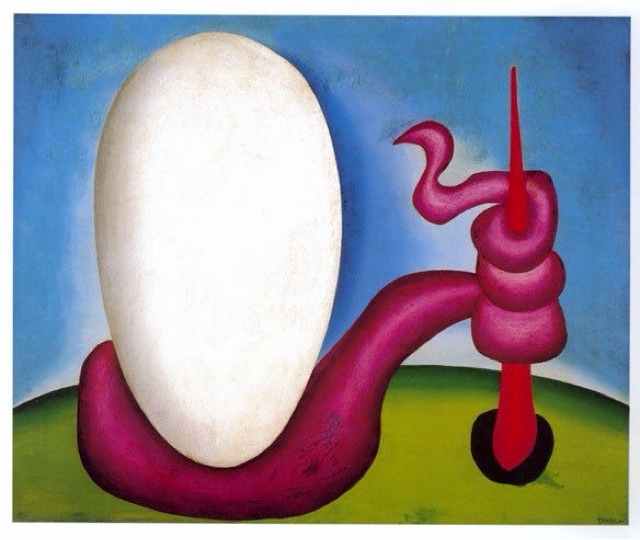 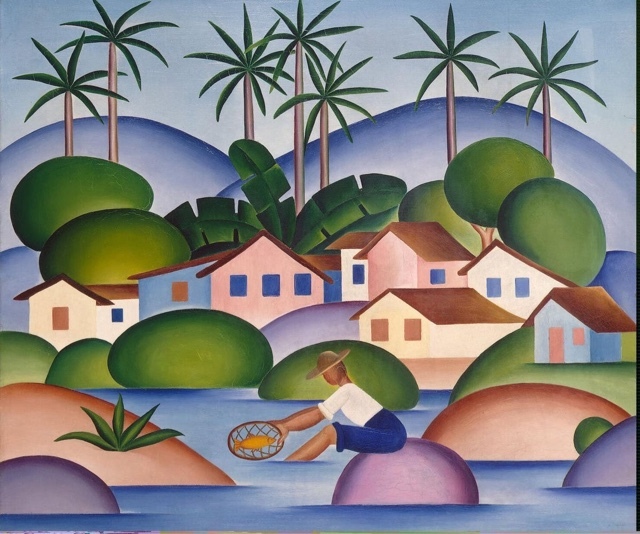 Yesterday, during a conversation with my husband, we stumbled upon the topic of Brazilian artists, which led to me discovering Tarsila do Amaral. 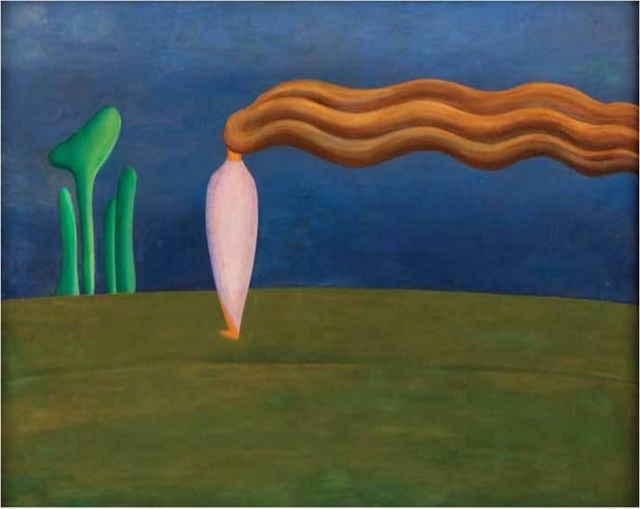 The instant I saw her artwork I fell in love. 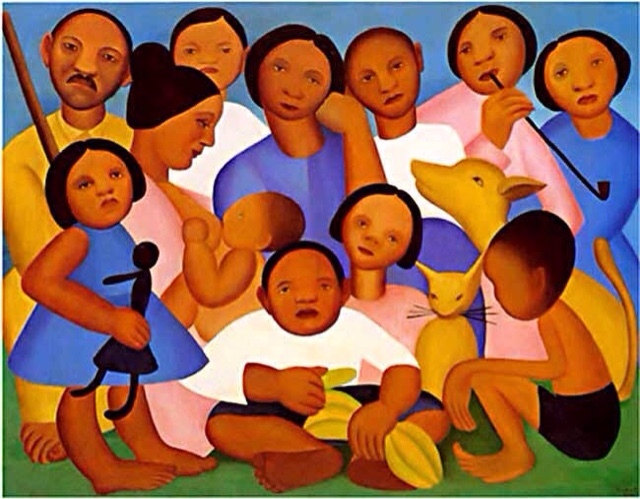 She is considered one of Latin America's leading modernist artists. 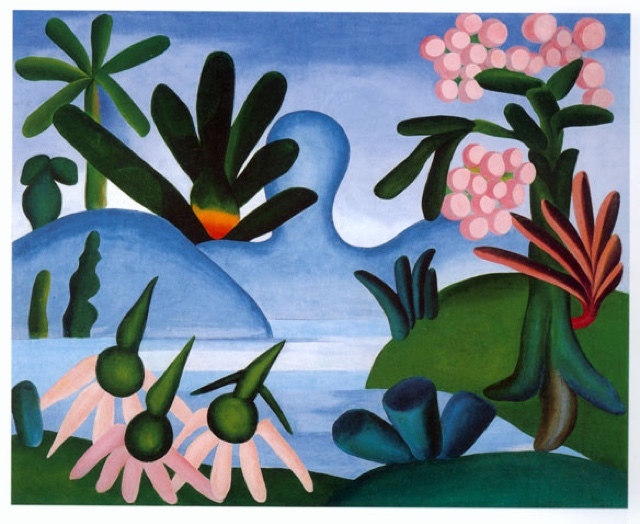 Take a peek at these beautiful beautiful paintings ... the first one, O Lago (The Lake) is my favourite. 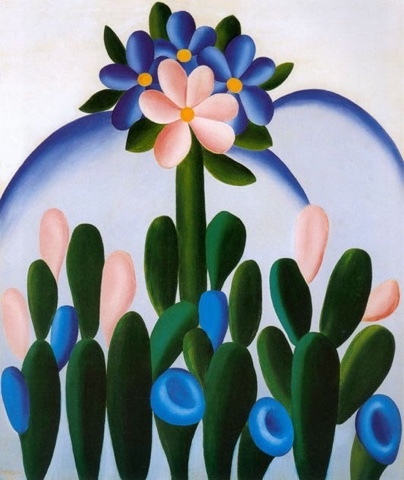 The colours and curves are striking - the blues, pinks and greens are so lovely.